Check out answers to our most frequently asked questions. Still have a question, feel free to contact us at (314) 421-4134 or at bamsl@bamsl.org. Who can be a BAMSL member? How much are dues? How do I join? Membership dues for attorney members are based geographical location and number of years licensed, with additional membership classifications and rates available for public sector attorneys, legal support professionals, and more. Membership is open to attorneys, judges, law students, legal administrators, law librarians, paralegals, and legal marketers. Click here for current membership rates and for information on how to join. 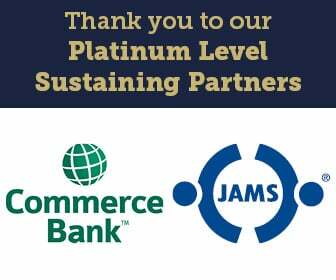 What is BAMSL's membership year? BAMSL's membership year runs annually May 1 (Law Day) to April 30. How can BAMSL benefit my career? The networking possibilities are endless. Opportunities to mix with other legal professionals in and out of your practice area exist at every BAMSL event. Being involved with BAMSL could help expand your professional resources and open doors to your future. From networking events to pro bono and community service activities to CLEs, there are numerous ways to maximize your membership. The time dedicated to BAMSL is relative to the experience a member is seeking. Members are able to volunteer as much or as little time as they desire. There are many opportunities and experiences to gain by being involved. Learn more about our community service and pro bono opportunities. Why haven’t I received my copy of the St. Louis Lawyer magazine or the St. Louis Bar Journal? The St. Louis Lawyer magazine is published monthly and the St. Louis Bar Journal quarterly. If you have not received a copy of any BAMSL publications, the most common reason is that we have a bad address. Please check that your address is correct in our system. To do so, log in to your BAMSL account. From the member center, click “Update My Info” in the Quick Links menu. From there you can update any information regarding your account. Does BAMSL offer payment options? BAMSL members are able to pay their dues all at once or in a number of installments. Automatic dues renewal is available (valid credit card on file required). Automatic monthly and quarterly payment plans also are available (valid credit card on file required). Members can update their payment options at the time of renewal, or by calling (314) 421-4134 today. Why am I not receiving BAMSL emails? Your email provider may be marking BAMSL emails as spam. Please try the following steps to resolve the issue. If issues still persist, please contact us at bamsl@bamsl.org or (314) 421-4134.